Kelly Crawford is a citizen of M’Chigeeng First Nation, Waabizhishi Dodem. 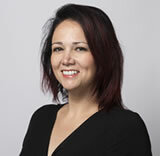 She holds a Master of Arts – Integrated Studies degree with a concentration in culture and education from Athabasca University, a Bachelor of Education degree from Nipissing University and Bachelor of Arts (Honours) degree in Native Studies from Laurentian University. She is currently a PhD candidate in the Human Studies program at Laurentian University. Currently, she is the principal of academics at Kenjgewin Teg, faculty liaison with Queen’s University, and instructor for Canadore College. She is the author of the “We Are All Treaty People” teachers’ kit, kindergarten to Grade 8; Gdoo-Sastamoo Kii Mi, Understanding Our Nation-to-Nation Relationship: A Practical Teachers Resource Guide; and contributes to various curriculum projects in Ontario. A: Currently I am a PhD candidate in the Human Studies program at Laurentian University with a current research focus of developing an interdisciplinary discourse framework to support Indigenous and non-Indigenous relationships moving forward in the classroom. A: Balancing two worlds. Working in two different systems trying to bridge relationships that have been devastated by a collective past. The weight of that reality and my responsibility to my family/community is a great challenge. A: There are many rewarding parts to my job. I love working with students of all ages. If I had to pick, it would be the moments when students share the difference our team has made in their lives.